Oh no! You just missed it. A new offer will be on its way soon. But, that doesn't mean we can't help you now. 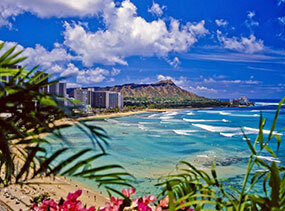 If you are after this resort specifically please contact our destination specialists. They can help tailor your package. Email us: cs@hootholidays.com.au Call us: 1300 653 165. Otherwise, feel free to check out our other products for more great exclusive holiday packages. Vou means "new" in Fijian. Your marriage is a new beginning! So Spa treatments: choose from express Manicure & Pedicure, 30 min massage, Facial, 30 min Body Scrub, followed by an afternoon tea with sparkling wine, fruit and detox jucies. Infusing high end luxury with distinctive service and first class facilities, Sofitel is synonymous with style and elegance. This deluxe resort is designed with distinctive Fijian features spread over 26 acres of landscaped gardens and located on Denarau Island, adjacent to the world class Denarau Golf and Racquet club. Combining contemporary style with a relaxed ambience, this resort is ideal for couples and families alike. A full service international day spa, free form pool and the quintessential generosity of Sofitel services and facilities make this the ultimate luxury resort destination. 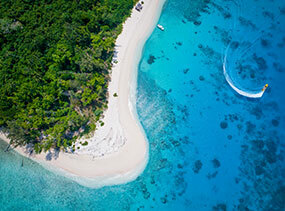 The island is also popular pre and post destination for travellers to the outer islands and within Viti Levu, Fiji's main island. 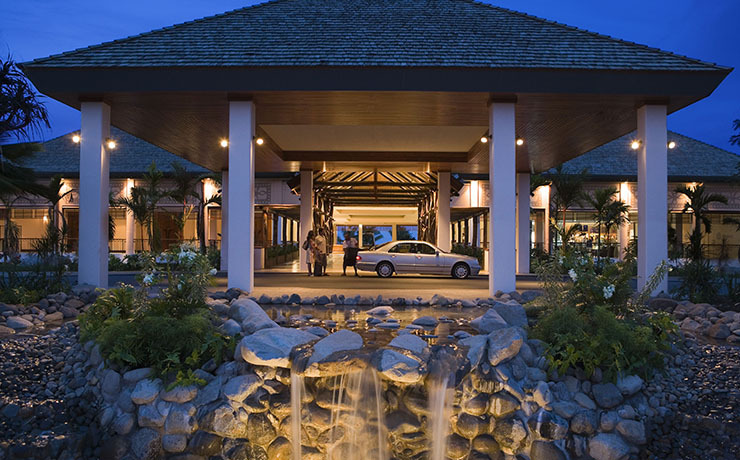 The beautiful Sofitel Fiji Resort & Spa is located on Denarau Island. 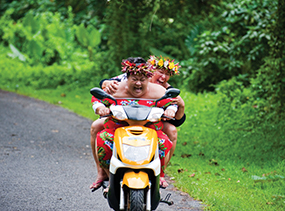 Just a 20 minute drive from Fiji's International Airport at Nadi, paradise is easy to find. 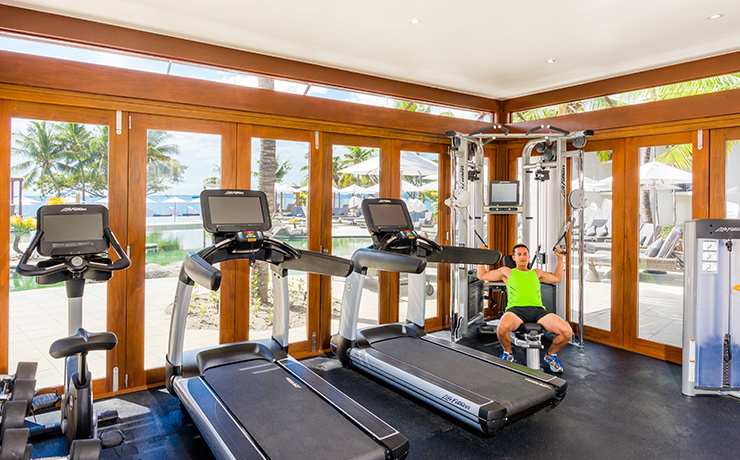 With the many activities on offer you'll never be bored. 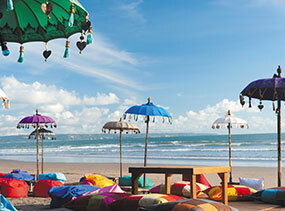 No matter what type of holiday you're seeking, Sofitel has it covered. Just want to relax in the sun? 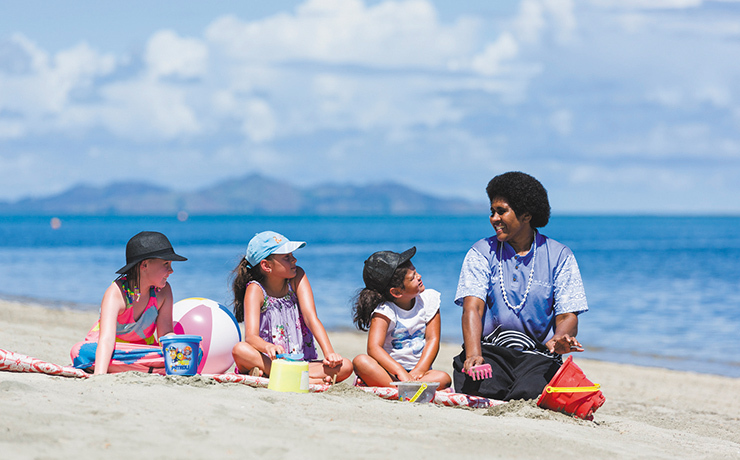 Sofitel Fiji's half kilometre beach is ideal for guests to stretch out and enjoy more "me" time. 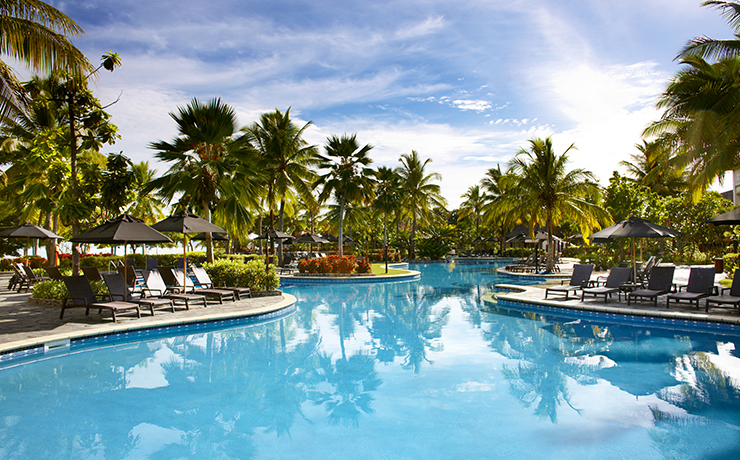 Just steps from the beach, Sofitel Fiji offers one of the Pacific's largest lagoon style pools measuring in at 1,080sqm of water surface. With a separate "child friendly" end and spectacular two storey spiral water slide, and a deeper plunge design at the lower half of the pool, every guest's aquatic requirement are catered for. For the ultimate excitement Sofitel has teamed with Adrenalin Fiji and together can tailor a holiday and activity programme for the whole family, couples or solo thrill seekers. Have a go at skydiving, helicopter tours, jet skiing, sailing, mountain bike riding and scuba diving courses etc. 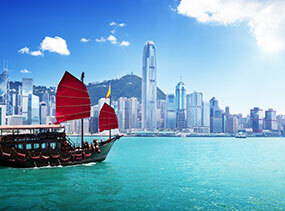 They can also offer sunset cruises, picnic cruises to neighbouring islands ~ the only limit is your imagination! Action pack your island adventure with snorkelling, windsurfing, sailing, canoeing, kayaking, paddle boarding and the modern fitness centre. Or if that's too energetic indulge at the international day spa facility with separate treatment rooms and massage rooms operated by Mandara Spa, one of Asia Pacific's leading spa operators. Or simply relax in the Jacuzzi, sauna, hair/beauty salo or under a shady palm tree with a book. Keep the kids entertained at the Turtle Kids Club and ensure you have time to enjoy all that's on offer. Our younger guests will have fun all day with a range of games and traditional Fijian activities. They'll learn about the native culture participating in hat weaving, clay pot art, traditional dress up games and Fijian Meke dance lessons, Tapa traditional screen printing and the popular Fijian bowling game Pani. 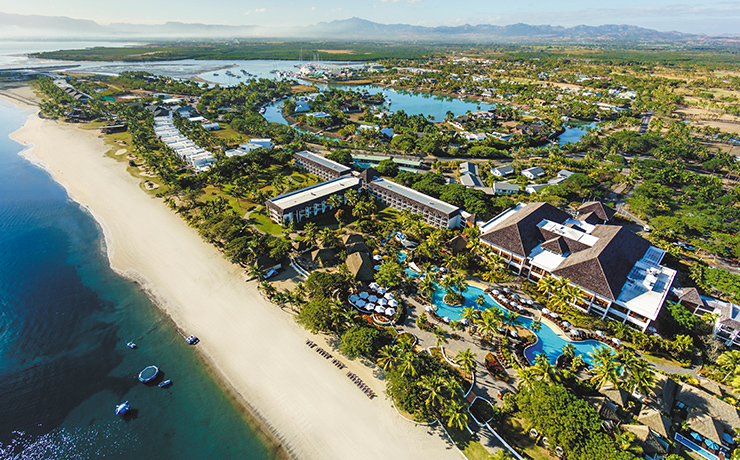 Guests staying at Sofitel Fiji Resort & Spa also have access and special rates available to play at the famous Denarau Golf and Racquet Club, just 500m from the resort. The golf course is a par 72, 6538m, 18-hole championship course designed around the island's extensive waterways. The Club also features a 10 tennis court complex with grass and hard court surfaces, a restaurant, bar, and pro-shop. 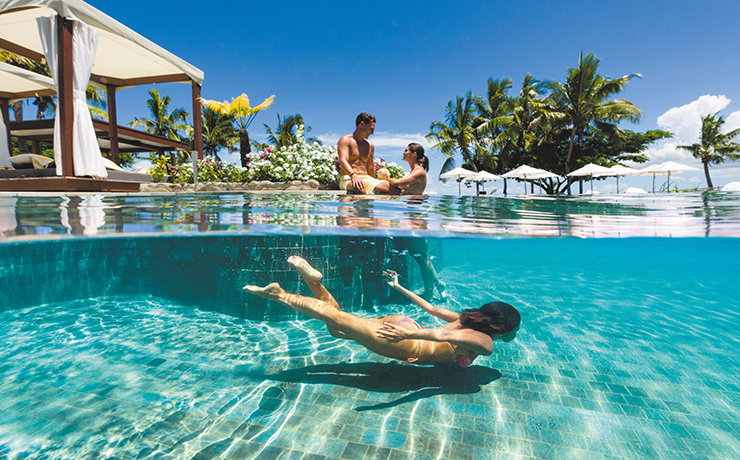 At the Sofitel Fiji Resort and Spa there is something for every traveller. 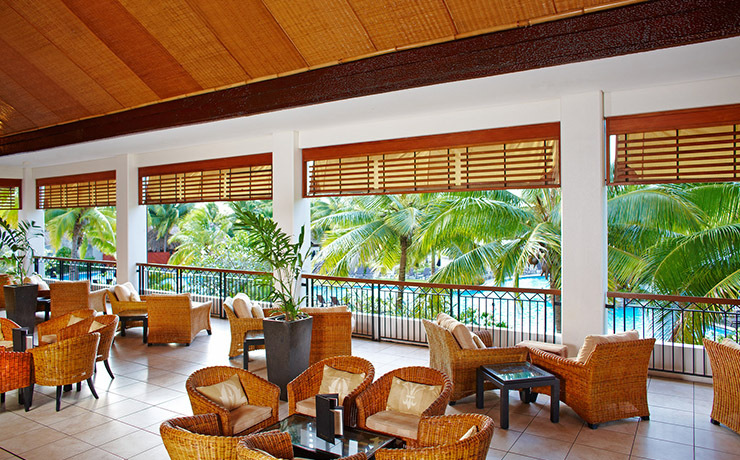 Sofitel Fiji Resort & Spa provides a diverse range of casual and elegant dining experiences for guests including a signature restaurant, relaxed bars and cafe-style eateries for indulgent choices and amazing variety. Sofitel is renowned worldwide for its distinctive and vibrant dishes and the themed Lagoon restaurant is no exception. With a fresh and inspired approach to food, Lagoon restaurant features live cooking stations prepared from the freshest ingredients and displayed with imaginative presentation. Offering open aired and terraced seating, as well as its own children's buffet and themed buffet nights, Lagoon restaurant has been designed to ensure that guests are never far from a calming water view. Enriched by its idyllic tropical setting, V restaurant is the ultimate venue for a wonderful culinary experience with Fiji's famous smile. New Zealand born executive chef Brendon Coffey carefully guides Sofitel's culinary team, infusing Accor's innovative heritage into V with his contemporary style and presentation. This restaurant is perfect for those who truly enjoy the art of fine food and wine. V elevates the level of cuisine in Fiji. For the ultimate in alfresco entertaining, Salt restaurant makes the most of the outdoors and Fiji's tropical climate, with a waters edge location. After working up an appetite from a refreshing swim, guests can choose from an extensive variety of International cuisine on offer poolside including spicy Indian delights from Salt's authentic Tandoori oven. 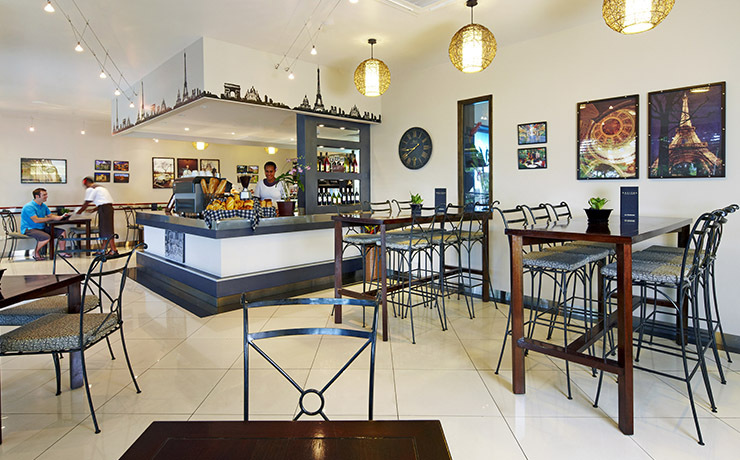 Cafe La Parisienne, located adjacent to the lobby, offers great coffee, cafe style breakfast, lunch and delicatessen items to go. 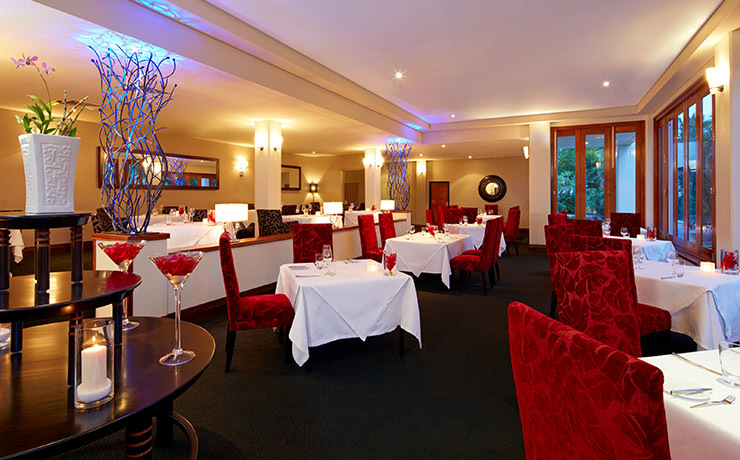 Latitude 17 is an ideal place to meet for pre-dinner cocktails or a quiet night cap in the evening. A friendly and relaxed place to meet, Latitude 17 is open for "breakfast on the run", as well as an easy option for guests on the go or simply looking for something light and casual. Latitude 17 Cocktail Bar features an unrivalled range of traditional and modern cocktails and premium beverages in addition to a selection of Cuban cigars for truly special occasions. 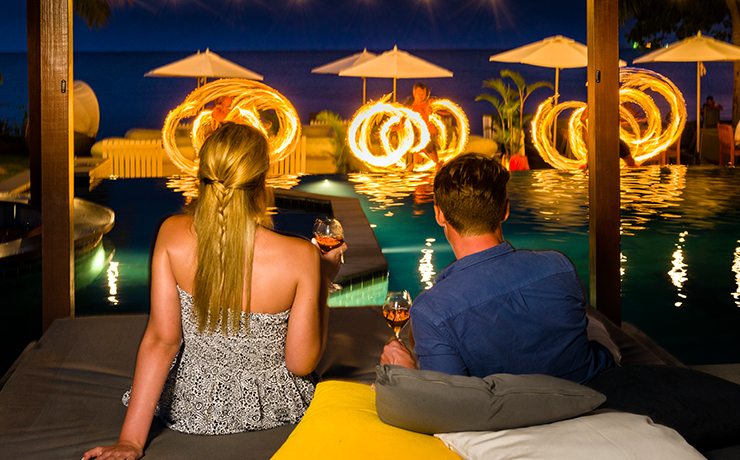 Or whether you're after a cocktail, to read a book, a casual game of chess or listening to live entertainment, the Breeze Bar guarantees a mesmerising view across the Pacific Ocean with a laidback approach and the friendliest service in Fiji. Breakfast in bed? A glass of champagne? Perhaps a midnight snack? Room service is available at Sofitel too. 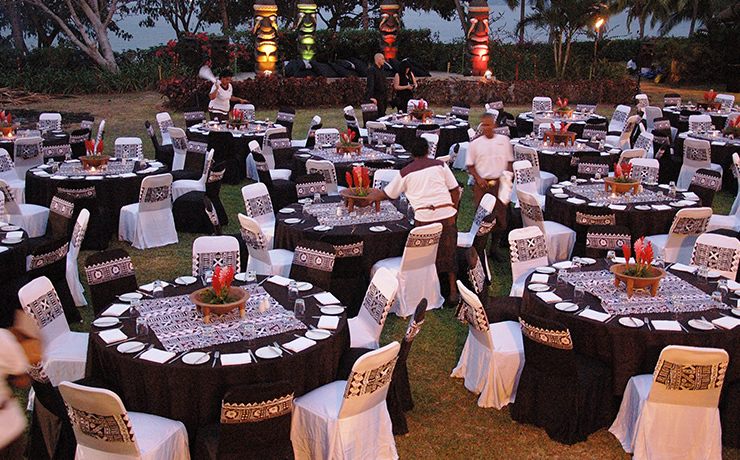 Whatever dining experience you're seeking, Sofitel Fiji Resort and Spa has the perfect culinary choice to suit you. 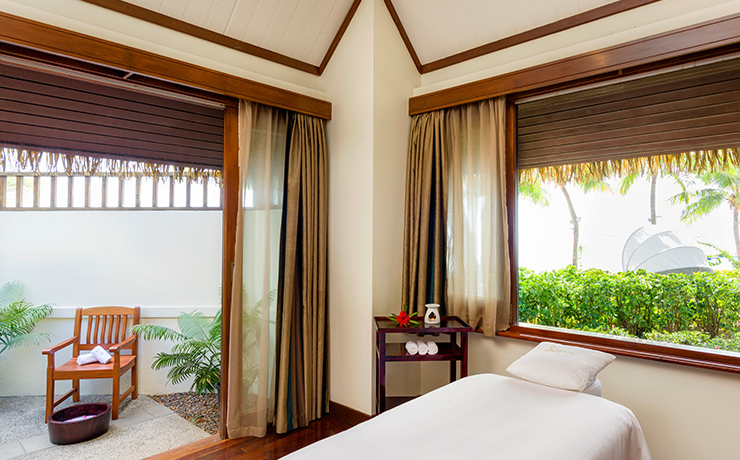 Ideal for relaxation in ultimate luxury, the guest rooms and suites at the Sofitel Resort embrace classic design with distinctive Fijian touches and enhanced by modern amenities. 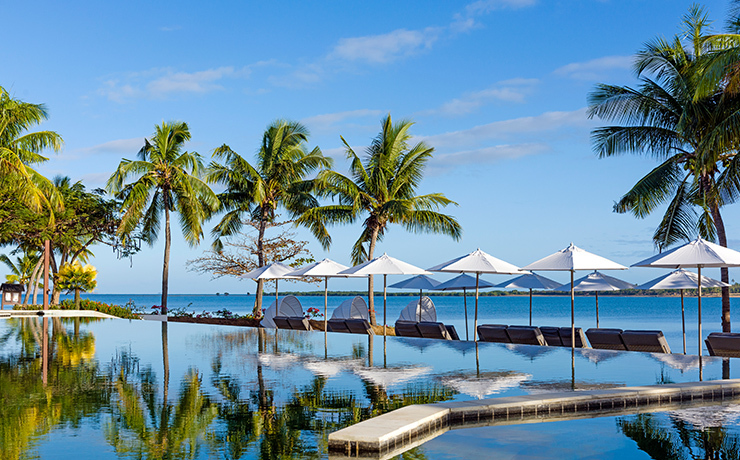 Sofitel Fiji Resort & Spa offers 296 stylishly appointed guest rooms and suites, each facing out to the Pacific Ocean and featuring private terraces or balconies to make the most of Fiji's tropical surrounds. Sofitel's timeless and stylish room furnishings have been thoughtfully blended with classic Fijian influences for a truly 5 star, Fijian experience. All guest rooms include individually controlled air-conditioning, large Plasma colour TV, coffee/tea making facilities & mini bar. Selected suites also offer private balcony based Jacuzzis ensuring guests enjoy the tropical outdoors without leaving their room. - Suites available in Prestige, Opera and Imperial designs. Sofitel's King Rooms designs are ideally suited to couples, small families or business travellers, and feature a generous King size plus a sofa bed and an ensuite bathroom. Designed for two people, they are able to accommodate three people by utilising the sofa bed. 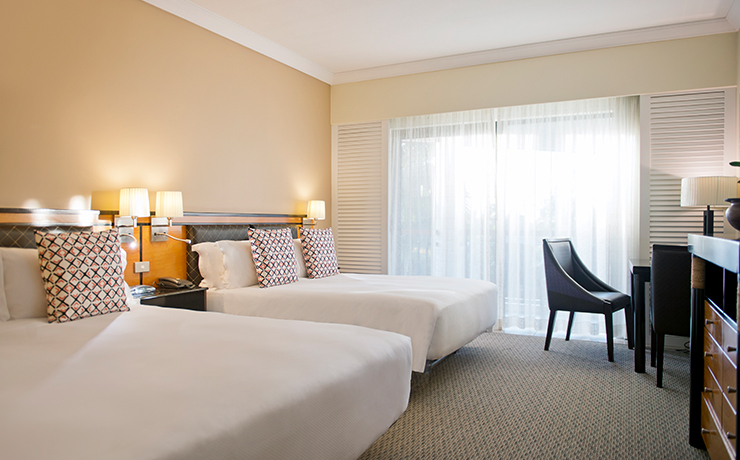 Queen rooms design feature one queen bed and one double bed and are great for families or business executives. They are designed for two people, but can accommodate three adults or two adults and two children in existing bedding. 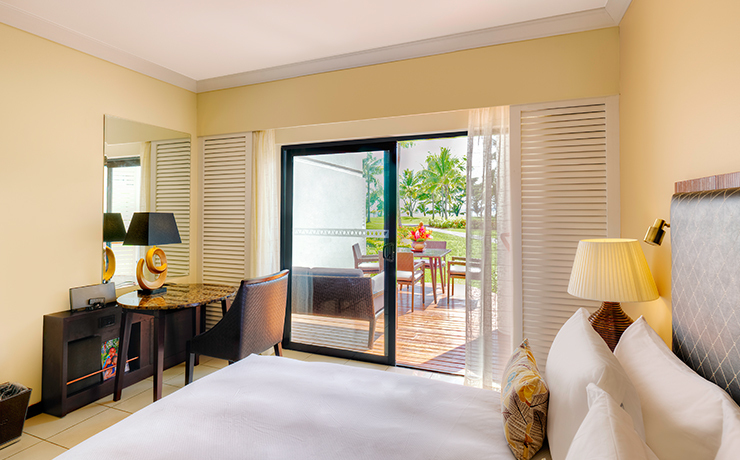 Interconnecting Superior Ocean Side rooms create maximum convenience and privacy by joining two rooms - a King Room featuring one King bed and a sofa bed and a Queen Room offering a one queen bed and one double bed ideal for families. 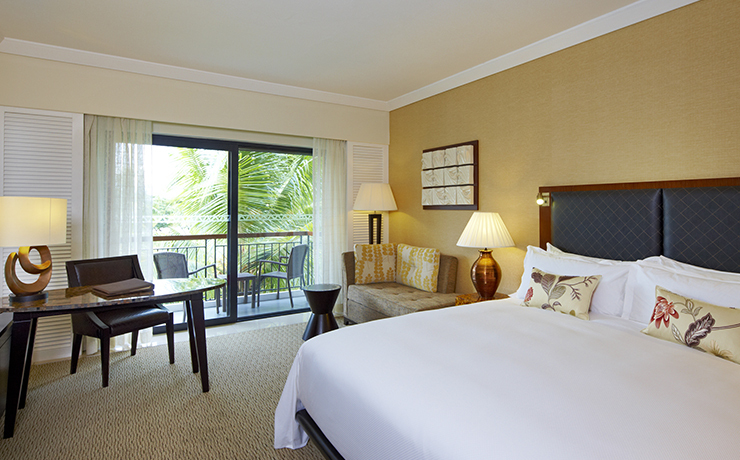 Sofitel Fiji Resort & Spa also offers interconnecting rooms with disabled facilities, including fully equipped bathrooms for disabled persons. Family Style Superior Ocean rooms provide both the privacy of adults and the comfort of children by creating a private zone, complete with Sony PlayStation, separate and devoted to fun. 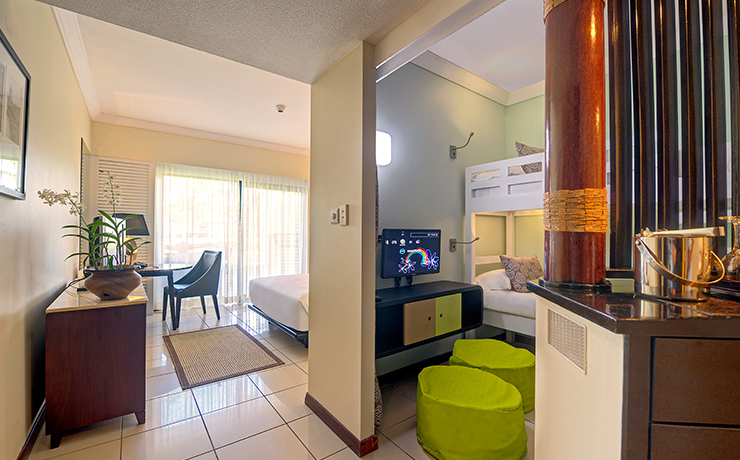 All rooms feature an ensuite bathroom with both bath and shower facilities. Every Family room includes one queen bed and one 2-tier bunk bed and is within easy distance to children's pool facilities. Opera Suites have been carefully appointed to offer the resort's best ocean views, with a furnished private balcony to make the most of Fiji's tropical climate and scenic surrounds. Executive Suites feature a separate living room and bedroom for a holiday apartment feel, as well as an ensuite style bathroom and spa bath. The bedroom features one king size bed, while the living area provides a stylish, open plan lounge and entertaining space. Prestige Suites are the perfect solution for business executives, families or couples who want to truly savour their 5 star Fiji experience in lavish surrounds and added living space. These suites contain one King bed and a sofa bed and feature a spa bath on the private balcony area with sweeping ocean views. Designed for 2 adults but can accommodate two adults and two children. 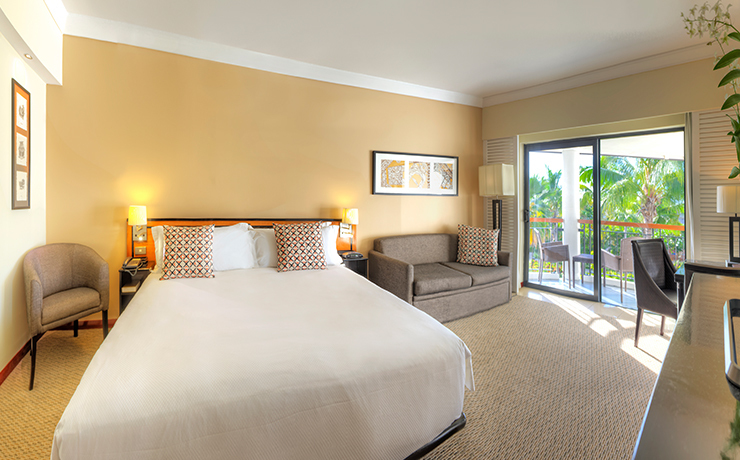 Selected Junior Suites can also interconnect with Superior Ocean View rooms. 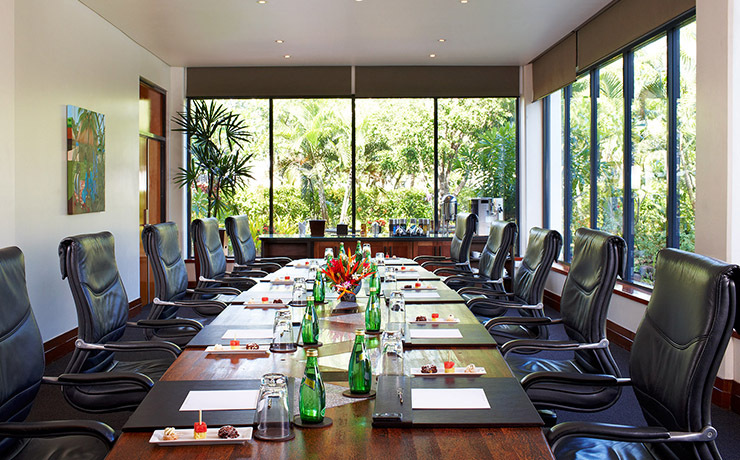 Your accommodation choice will be nothing less than a lavish luxury to treat you every day of your Sofitel stay. 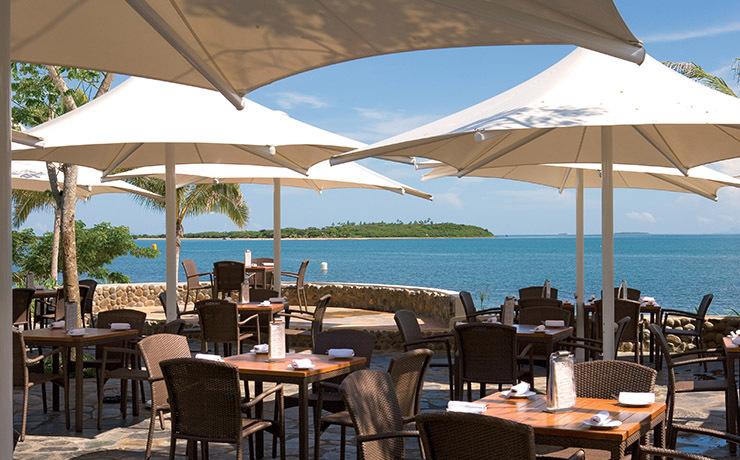 At the Sofitel Fiji Resort and Spa two children under 12 years eat free in Lagoon Restaurant for breakfast and dinner when dining with adults. Stay a minimum of 7 nights and receive complimentary access to Turtle Kids Club for two days. Honeymooning at the Sofitel? You'll receive a complimentary bottle of sparkling wine on arrival when staying for a minimum of 3 nights. (Please notify at time of booking). 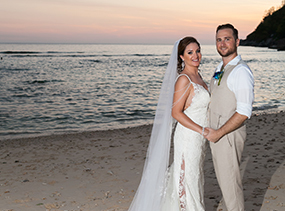 Sofitel Fiji Resort & Spa provide everything you need to ensure a traditional island wedding that reflects your personal style, whether you want to keep it small and simple or prefer a lavish affair with all the trimmings. 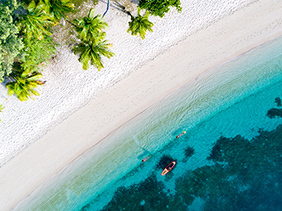 With its famous long, lazy beaches, swaying palm trees and romantic sunsets Fiji really is the perfect backdrop for a South Pacific wedding and honeymoon by the sea. 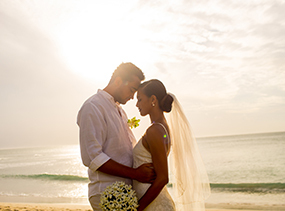 With Sofitel Fiji's very own, exclusive, beachside wedding chapel to hold your ceremony, you'll have the picture-perfect scene to celebrate your marriage. Designed to replicate the quaint churches of traditional Fiji, Sofitel Fiji's wedding chapel offers a simple yet gorgeous wedding venue that has everything thoughtfully covered, from an inspiring ocean view through to providing quality air-conditioning that will ensure a relaxed and comfortable ceremony for the bride, groom and guests alike. A selection of outdoor locations is also available for couples who prefer an outdoor garden setting to exchange their wedding vows. 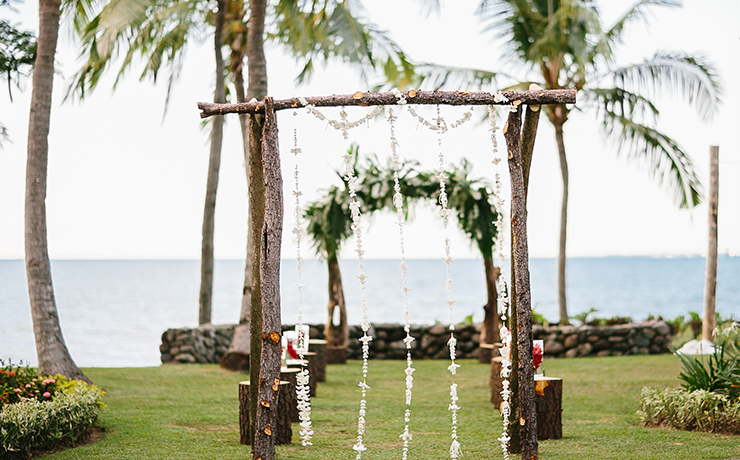 Bride and groom gift & traditional Fijian Choir to serenade you as you exchange vows. 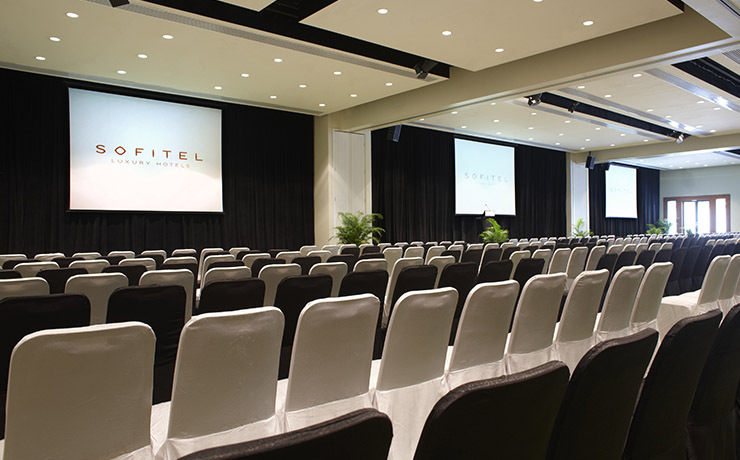 Sofitel Fiji offers a variety of reception venues available at the resort, from outdoor garden or beachside settings to glamorous ballrooms and fine dining restaurant options. When it comes to cuisine and menus, the only limit is your imagination with options including sit down dinners, cocktail receptions or perhaps a picnic feast. 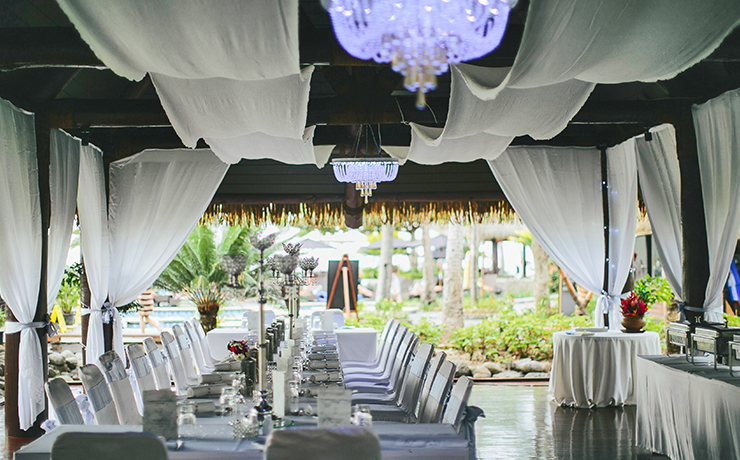 There really is no better way to spend your special day than at the Sofitel Fiji Resort and Spa. If you're looking to spend a holiday in a tropical paradise without breaking the bank, check out Denarau Island. 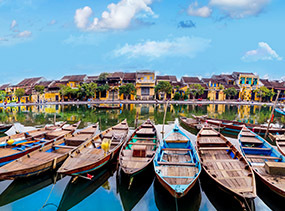 Not only does this popular area have all the picturesque views you could ask for, it's also home to a bunch of beautiful, world-class resorts. 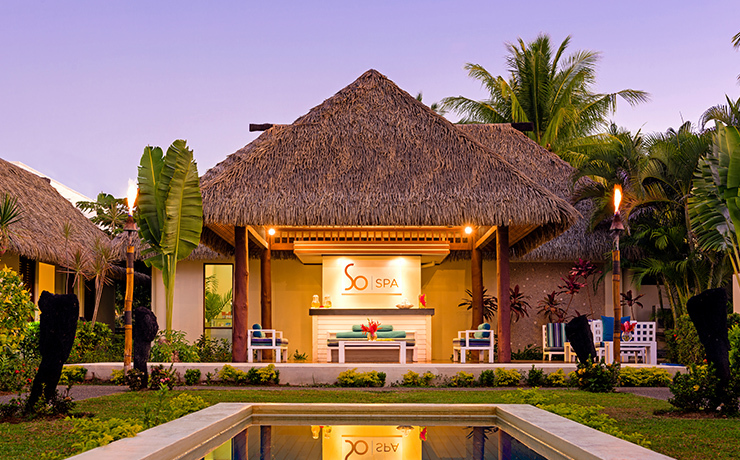 If fine dining, spa facilities and treatments, glorious lagoon-style pools and rooms with a view are what you're after in a Fiji getaway, Denarau won't disappoint. 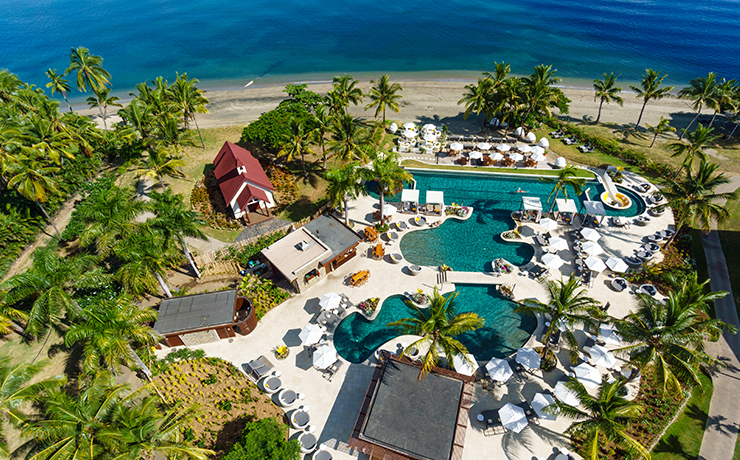 Staying at one of our popular resorts such as the Radisson Blu you can walk along to the boardwalk and visit some of the other luxurious resorts like the Fiji Beach Resort, to sample its bar or restaurant. This means the whole area will feel like home - if only! The resorts also have beach access, so head out for a dip in the temperate ocean, build sand castles or see who can climb the farthest up a coconut tree. Don't forget there's also a 'Denarau Shuttle' that traverses around the numerous Denarau resorts and the Marina if you're keen to get adventurous and explore your surroundings a little less energetically. Visit the Denarau Marina Shopping Village, where can you stretch the budget by purchasing trinkets and souvenirs. Have an extra-fun dining experience at the local Hard Rock Cafe, too, which is always bursting with song and dance.